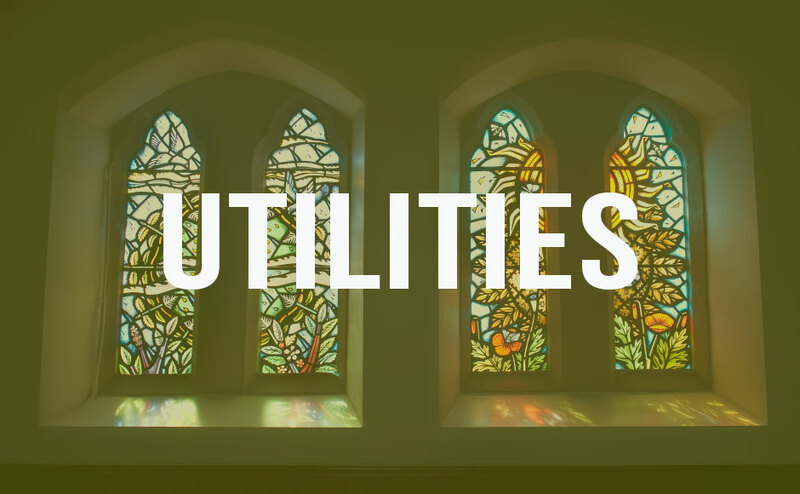 The safe supply and use of utilities (water, gas, oil and electricity) is important to ensure the safety and welfare of everyone who uses congregational buildings. It is important that a suitable system of regular inspection and testing is followed in all buildings and that any defects are fixed as soon as possible. It is also important to remember that any insurance policies relevant to properties may be invalidated if utility systems are not maintained. The Church of Scotland has identified a significant number of congregations which have not had their electrical fixed installations (supply) or portable electrical equipment inspected and tested in many years. This represents a significant safety risk. The Electricity at Work Regulations 1989 apply wherever the Health and Safety at Work Act 1974 applies. These regulations set out, in general terms, the safety requirements for installations and the safety of people working with or near electrical systems. They also impose duties of compliance and, in most cases, these include a duty on the occupier of the premises and a duty on those using the premises. If electrical systems and equipment are not maintained properly, there is a serious risk of injury, burns or fatality from electrical shocks. There is also a substantial risk of electrical fire if electrical systems and equipment are not safe to use. Electrical safety covers two distinct areas: the electrical supply (fixed system) and the safe use of electrical equipment (including portable electrical equipment). It is important to take positive steps to manage electrical safety, not just to react to accidents or situations as they occur. For example, equipment should not be left until a fault occurs – the aim is to prevent danger. If faults are not found until equipment is to be used, it could be too late to repair or replace it. It is also important to remember responsibilities under the Management of Health and Safety at Work Regulations (1999) to carry out sufficient risk assessments within properties. This responsibility also extends to all electrical systems and equipment. Please see Part 3 for further information. Although the Electricity at Work Regulations 1989 require that systems (and all equipment) are maintained, the regulations do not explicitly state how often any assessment or testing should be carried out. It is necessary to maintain fixed electrical supply systems and to ensure that any faults within these systems are dealt with promptly. The fixed electrical system incorporates the circuits from the meter and consumer unit supplying light switches, sockets and any wired-in equipment such as cookers, dishwashers and washing machines. We are aware through quinquennial reporting that some congregations have not had their fixed electrical systems tested or inspected in many years. Although surveyors have correctly reported in their recommendations that fixed electrical systems should be inspected regularly, in some cases this has not been carried out, resulting in some fixed electrical systems not being inspected in over twenty years and congregations facing substantial costs running into tens of thousands of pounds to remedy all the faults identified. Reveal if any electrical circuits or equipment are overloaded. An Electrical Installation Condition Report (EICR) will be provided, which will identify any of the following: Category 1 (C1 danger present), Category 2 (C2 potentially dangerous), Category 3 (C3 recommendation), or F1 (requires further investigation). Suitable arrangements must be made to correct any C1 or C2 faults without delay. It is important to retain a copy of the EICR at least until the next period inspection is undertaken. It is also necessary to retain all reports and documentation relating to any repairs or upgrading of fi ed electrical systems. 5.5 Who can Carry Out the Inspection of my Fixed Electrical System? A legal duty exists to ensure that only an appropriately trained and competent electrician inspects and tests fixed electrical systems. It is strongly advised to contact The Electrical Contractors Association of Scotland (SELECT) for advice about appointing an appropriate electrician. 5.6 How Often Must my Fixed Electrical System be Tested? Fixed electrical systems must be assessed and tested at least once every five years. Some electrical contractors will allow staggering of testing over the five years so that certain parts of systems are tested annually, adding up to the full assessment over five years. This can be a cost-effective method of ensuring that fixed electrical supplies are safe to use and to ensure that any faults are dealt with as soon as possible. Much misunderstanding surrounds the requirements for the inspection and assessment of portable electrical equipment. Such equipment includes kettles, toasters, computers, printers and radios and it is likely that several portable electrical appliances are used within most church properties. We have included a copy of the HSE guide to maintaining portable electrical equipment (INDG 236) as a reference source at the end of this section of the toolkit. This should be read fully to develop a system for the inspection and testing of portable electrical equipment focusing upon the risk of injury and making reference to this guide. Not all portable electrical equipment requires an annual Portable Appliance Test (PAT). However, it is necessary to ensure that any electrical equipment purchased or used within church properties is safe to use and suitable for the job intended. The Church of Scotland General Trustees recommend that a system of regular visual inspections of all portable electrical equipment is implemented and recorded. This should be combined with a formal inspection and testing of portable electrical equipment at an interval relevant to the risk involved. Further advice and guidance can be found by referring to INDG 236 and from the Church of Scotland General Trustees. Anyone who carries out PATs must be competent, suitably trained and have the confidence, knowledge and experience to do this safely. Whilst INDG 236 states that an electrician does not need to carry out PATs, the charity trustees must be assured that anyone undertaking PATs on their behalf can do so safely and without risk to themselves or anyone else. It is important that suitable and sufficent records are kept of any visual or physical inspection and testing of portable electrical equipment. These records must show who carried out the inspection or testing, as well as the date and location of testing and details of specifi pieces of equipment tested and any faults identified. If any action is required – for example, to replace a fuse – this must also be documented and carried out by a competent person. The Gas Safety (Installation and Use) Regulations 1998 require that employers and landlords ensure that any gas appliances and installation pipework installed in properties for which they are responsible are maintained in a safe condition. The charity trustees must also ensure that any gas appliances (including ovens, hobs and boilers) are inspected at least every twelve months by an approved person. The approved person must be a Gas Safe registered engineer and it is important that their Gas Safe register ID card is checked before any inspection or repair work starts. It is unlawful for anyone other than a Gas Safe engineer to inspect or work on a gas installation, including pipework. If an appliance is found to be unsafe to use, it is unlawful to use it before suitable repairs are carried out. The Gas Safe engineer will place a prohibition notice on any gas equipment or installation that is unsafe to use and it is illegal to tamper with this notice. A Manse is regarded as domestic premises, and there is therefore no legal obligation to have gas appliances within the Manse serviced annually. However, it is strongly recommended that appliances and pipework in the Manse be included in the annual safety inspection. If a Manse or other residential property is to be let out to tenants, the landlords have a strict responsibility to have gas appliances checked before commencement of the lease and have these maintained and serviced once a year thereafter. It is recommended that advice be obtained from the Church of Scotland Law Department on all aspects of letting residential property before doing this. Irrespective of any statutory responsibility, charity trustees should ensure that any premises for which they are responsible are in as safe a condition as is reasonably practicable. It is sensible to let water run for a period from taps which have not been used for a while. The complete heating installation should be examined for water, oil or gas leaks. The feed and expansion tank and open vents should be examined and any faults rectified. Isolating and control valves should be set to the proper position. The chimney boiler flue passages should be cleaned, examined and any damage repaired. Free air inlets to the boiler plant room should be examined and increased if below the boiler manufacturer’s requirements. The boiler(s) should be commissioned in accordance with manufacturers’ data using flue gas testing equipment where appropriate. An operational check should be carried out on the complete installation and should include testing of boiler thermostats, safety valves, safety fuel cutoff devices, chimney draught, fuel flow rate, automatic controls and general heat distribution. The incoming main water supply pipe should be examined and any lead pipe work be replaced in accordance with water supply by-laws (local authority grants may be available for this work). Distribution pipework within the building should be examined and any lead pipework replaced with copper or other approved materials. The water storage tank(s) should be examined, drained, cleaned, disinfected and flushed out. The tank(s) should be fitted with proper ventilated covers in accordance with water supply by-laws.